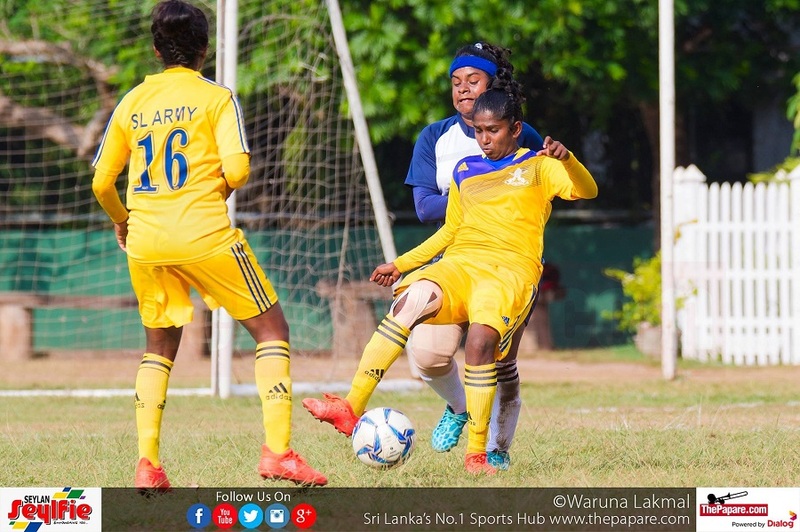 Navy SC women and Air Force SC women shared the spoils in a subdued game which ended 1-1, in a Premier League women’s group game worked off at the Navy base grounds in Welisara. The home team were favourites in the tie with their home advantage and with a strong line up on paper. However, from the first whistle the Air Force women pushed their hosts with some quick play as they allowed little space and time for the sailors. Despite, the majority share of possession by the Navy ladies it was their visitors who took the lead against run of play. A hopeful long range effort off a free kick by the Air Force skipper I.M. Vithanage saw the Navy custodian fumble the ball into her own net in a moment to forget. The sailors unfazed by the set back pushed on for an equalizer as it took them a mere quarter of an hour to manage that feat. 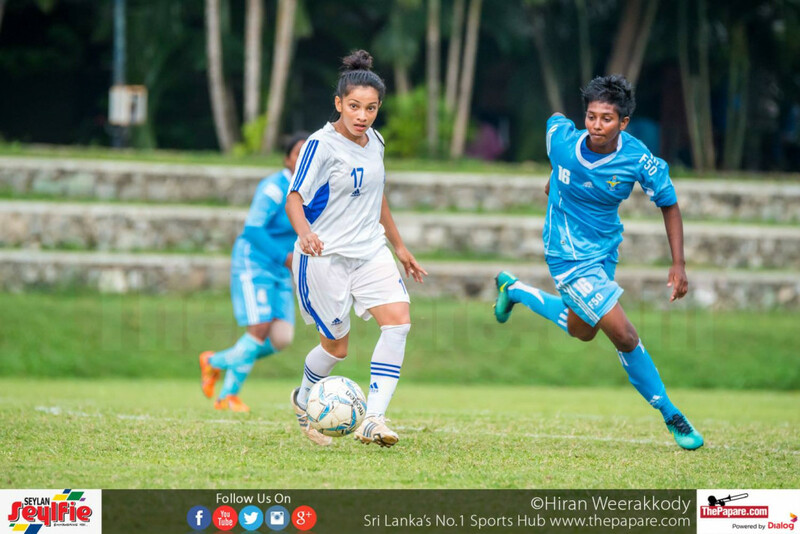 Yet another goal keeping howler by the Air Force custodian saw the ball bounce over her head, as national cap Maduki Perera scored one of the simplest goals of her career. The game once again turned scrappy come the equalizer as Air Force was determined to keep the game on level terms to go into half time. As the whistle blew for lemons both teams were left pondering upon two cynical errors which cost them both a goal apiece. The second half saw Navy take some initiative with some brisk passing and playing the ball out wide utilizing their wings. Nonetheless, Air Force held firm as they held their shape in the middle to remain compact as Navy found it hard to breach their defence. 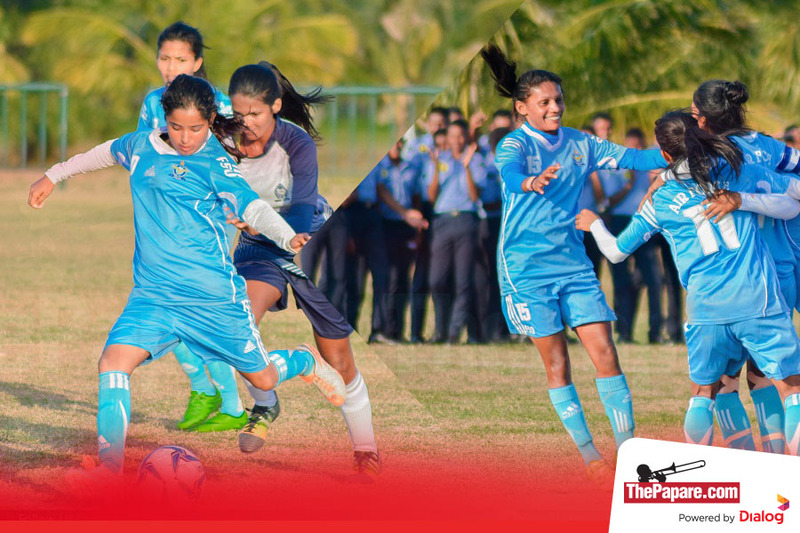 Thushani Madushika provided some life in midfield for the Sailors as her neat footwork and vision opened up avenues for the Navy forwards. 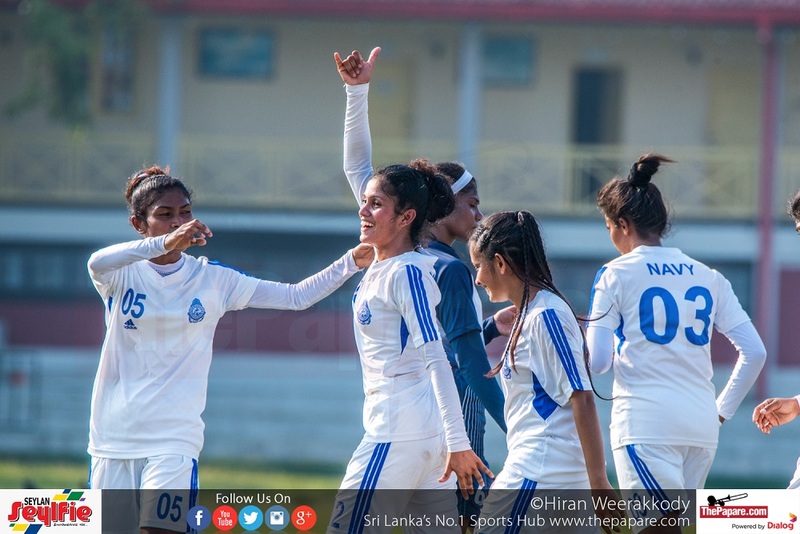 The best chances of the second half came at the last moment at stoppage time when a Maduki Perera squared a ball across the face of goal for Kumuduni Godawalage to get some decent connection on it. However, the Air Force keeper relieved herself from her early blunder as she palmed her shot away from danger. Notwithstanding, a few late runs by the Navy ladies both teams had to be satisfied with a point a piece with the visitors leaving the game the happiest.